My implants are failing …. what do I do now! Imagine having undergone several surgical procedures and spent a considerable amount of money, only to be told that your dental implants are failing! If this is happening to you, we can completely understand your disappointment, anxiety and confusion about what to do next. At Holbrook Dental Practice, we have experienced clinicians and specialists who have the skills, patience and empathy to help you through this difficult time. We will always be honest and transparent in our advice and recommendations and will guide you through your treatment options. Treatment can be challenging and a successful outcome is not guaranteed. However, following a detailed assessment, which may involve further CT scans, etc. We will present you with an honest appraisal of what can be done. 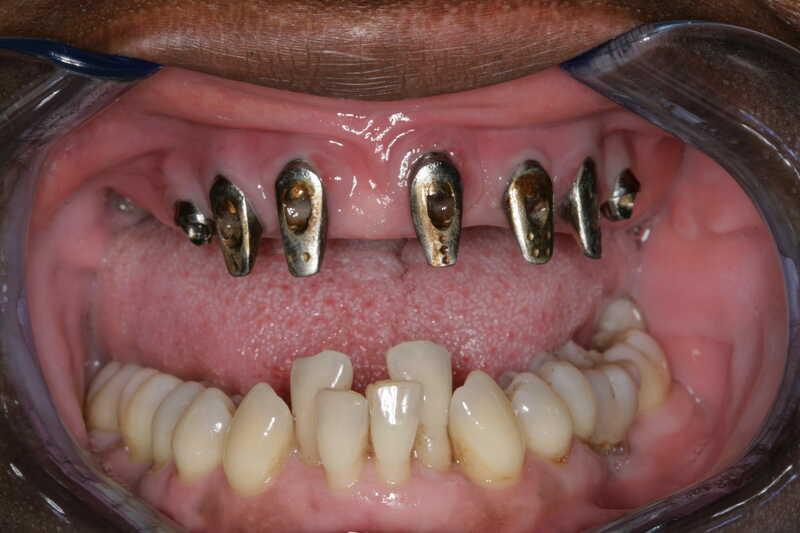 This may vary from a deep cleaning around the implant to removal and replacement of the implant in some cases. You may need to have your crowns / bridges removed in order to examine and treat the failing implant. Having to reverting to a temporary denture is not uncommon. Disinfection of the failing implant site with lasers. 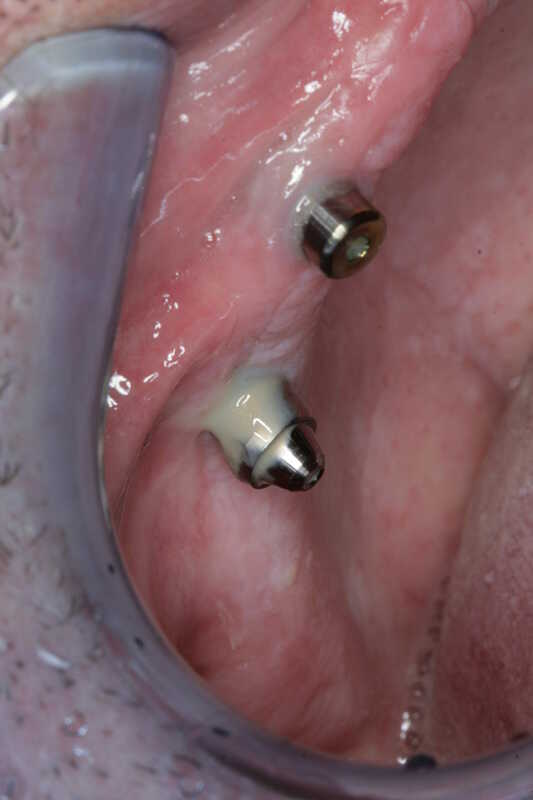 Removal of the implant, allowing time for healing and considering a new implant (if possible). Traditional abutments under a failing bridge.